I can't crochet and I can't knit. Unless I'm attempting to make triangular bunting or something, because everything I attend ends up being triangular. I can't concentrate and it seems I can't count either because I'm very good at picking up extra stitches from somewhere. It's not that I haven't tried. I promise you I have but my mum was the knitter and whenever I needed something - she turned her magic. 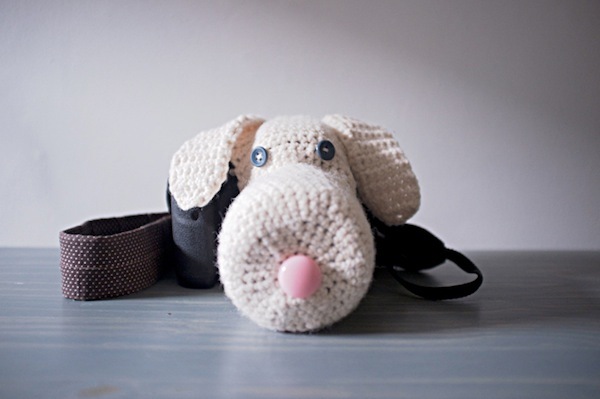 But now I don't have my mum to ask and since the Photojojo newsletter landed in my inbox last week, I have been hankering after this really cute doggy crochet camera cosy. And I need your help to make it happen! I've purchased the pattern and I will buy all of the materials needed. 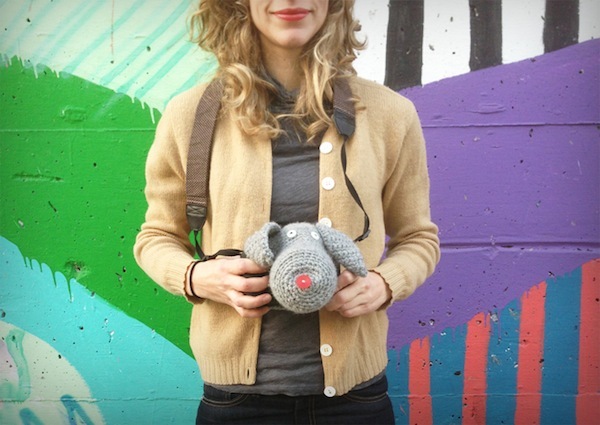 I just need the magic of someone who is nimble and able with a crochet hook to make it into reality for me. Tutorial appeared on Photojojo. Photos from Photojojo. The pattern is a an original design by Sarah Goldschadt.